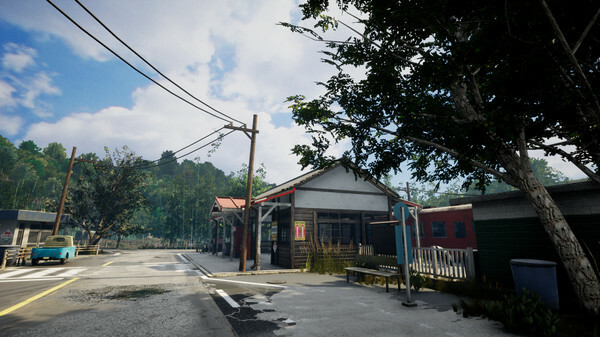 Explore a Japanese countryside created in Unreal Engine 4. Nostalgic Train, a “heartrending, mysterious first-person adventure / walking simulator” set in the Japanese countryside, will launch for PC via Steam on June 13 in Japan for 2,000 yen, developer Tatamibeya announced. It’s so bright, you can hardly see. Engulfed by the extreme humidity and sound of the cicadas. Mixed with the faint smell of the sea. Sitting on the wood bench at an old station. Why is it that you’re here, and what is it that you’re doing…? In a Japanese countryside created in Unreal Engine 4, solve the mystery of the missing people of Natsugiri, as well as yourself, through a somewhat heartrending, mysterious first-person adventure / walking simulator. The game features “Two Flickers at the End of the Trip” Story Mode, as well as a Free Mode where you can explore the world of Natsugiri. Created by independent developer Tatamibeya, immerse yourself into an illusive world that combines story and scenery.